Let’s welcome Beaulieu Vineyard to VanWineFest 2019. I’ve enjoyed their wines for many years. Let them tell you in their own words about their winery and the wines at VanWineFest. 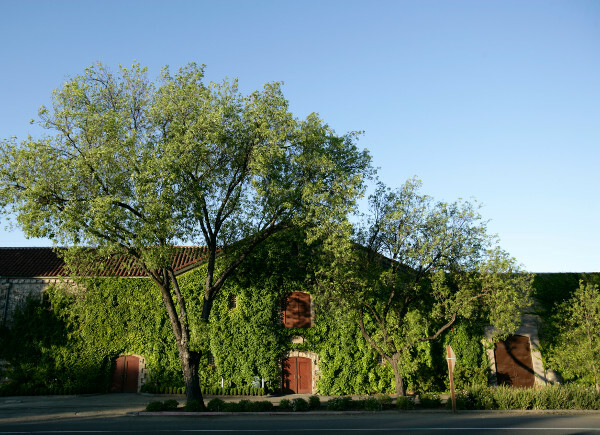 For more than 100 years, Beaulieu Vineyard has been setting the standard for rich, classic Napa Valley wines. Our legacy honors the marriage between state-of-the-art technology and gentle, traditional winemaking methods, a combination that enhances the expression of our remarkable vineyard terroir. In 1938, Georges traveled to France and met André Tchelistcheff, famed viticulturist and enologist who instituted the philosophy of continuous innovation in vineyard and winery to which we remain dedicated today. When he joined Beaulieu and tasted the de Latour family’s private wine – what they called “Private Reserve” – from the 1936 vintage, he insisted it be bottled and sold as the winery’s flagship offering. In 1940, Beaulieu Vineyard released the first vintage of Private Reserve and named it in our founder’s honor. The resulting wine became the first release of Georges de Latour Private Reserve Cabernet Sauvignon, a wine that was destined to become Napa Valley’s first “cult” Cabernet. Come taste these wines with Winery Principal Trevor Durling, Head Winemaker. Trevor presides as only the fifth winemaker in the winery’s 117-year history. A native Californian, Trevor was raised in Sonoma County, the heart of Northern California’s wine country. With a love of agriculture, science, and cuisine, Trevor pursued his studies at the University of California Davis in the Viticulture and Enology program. Beaulieu Vineyard Napa Valley Carneros Chardonnay – Bright notes of Meyer lemon and honey-crisp apple mingle with quince preserve and warm, spiced pear in our 2015 Carneros Chardonnay. Subtle nuances of honeysuckle and sweet almond are slowly revealed as you swirl the wine in your glass. On the palate, the full, beautifully balanced flavors mirror the aromas and then culminate in a crisp and creamy, lemon-custard finish. Beaulieu Vineyard Napa Valley Cabernet Sauvignon – Deep and intense, our 2015 Napa Valley Cabernet Sauvignon reveals the superb concentration of the vintage. Opulent layers of blackberry, black cherry and juicy plum character unfold with complex nuances of violet and mocha. Ample, mature tannins provide firm structure and rich texture for the mouth-filling flavors. Nicely integrated hints of allspice, cinnamon, and caramel from toasted oak barrels lace the aromas and lingering finish. This big, generous Napa Valley Cabernet Sauvignon is approachable and delicious now, yet promises cellar-worthiness. 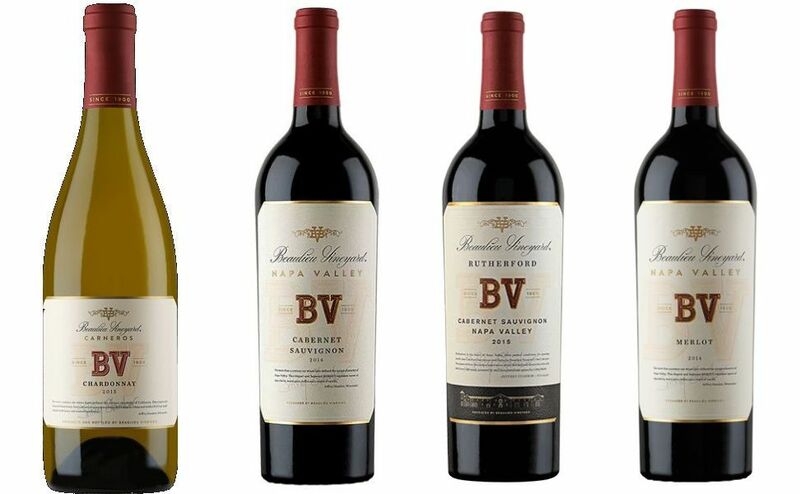 Beaulieu Vineyard Rutherford Cabernet Sauvignon – This Cabernet Sauvignon truly expresses its Rutherford AVA sourcing with tremendous saturation of color, aromas and flavors. The nose is ripe with vibrant blackberry, raspberry and black cherry notes alongside nuances of violet, vanilla and sweet oak spices. The structured “Rutherford dust”tannins give this wine its signature fine cocoa powder texture and expansive mouthfeel, while balanced acidity from the fantastic growing season and lower yielding vintage provides concentration, depth and freshness on the finish. Beaulieu Vineyard Napa Valley Merlot – Intriguing nuances of dark chocolate and dried Marasca cherries layer the ripe plum and blackberry notes of our 2015 Napa Valley Merlot. As you swirl the wine, you’ll also discover hints of black mission fig and licorice. On the palate, the textured flavors are plush and graceful, yet with ample structure. A year of ageing in oak barrels sourced from three different counties added hints of sweet oak spices and espresso.